Altars are wonderful as they create a permanent sacred area in the home to work your ritual or hold space for an intention. You might have an altar to a Matron or Patron Goddess or God, you may have a all purpose altar where you do all your ritual and anything magickally related, or maybe you have separate altars for different intentions such as fertility and healing. Either way once set up its easy for an altar to be forgotten or unused for long periods of time. I even get asked at time how should i be using my altar? Altars need to be 'fed'! Setting up an altar be it for an intention like prosperity where all your abundance work will be focused or to a specific deity you are creating a sacred living space of energy and vibration. What do you think will happen to that energy if it sits unused, unattended and dusty. If you have gone to the trouble to invite a deity in by awakening a statue and altar space or working your prosperity spell and setting up a grid that energy needs upkeep or at the least it will wither and leave, at worst gather negative or stagnant energy. So how do you feed an altar? 13. 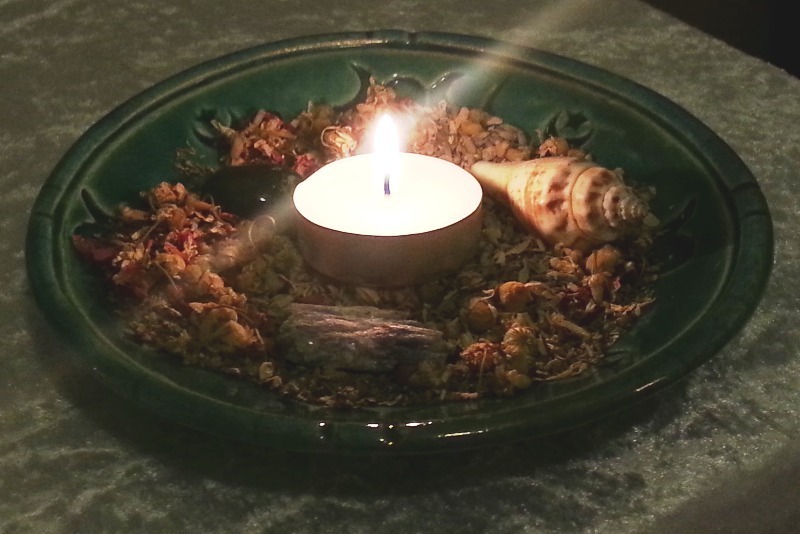 Regularly reaffirm the intention of your altar with ritual, song or whatever is part of your own practice. Use the lunar cycle.